Indian shares extended falls on Tuesday and posted their lowest close in one-and-a-half months, dragged by state-run banks as the rupee depreciated following higher crude prices. Oil prices firmed after Saudi Arabia indicated it was comfortable with a higher price range ahead of a meeting between major producing countries in Algeria. 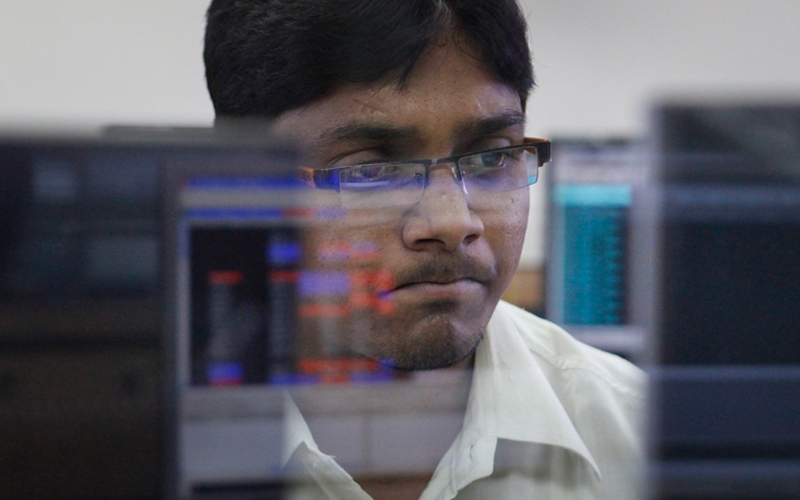 The benchmark BSE Sensex fell 0.78 percent to 37,290.67, while the broader NSE Nifty declined 0.87 percent to 11,278.90. Both indexes fell for a second straight session and posted their lowest close since Aug. 2. Meanwhile, a senior finance ministry source told Reuters that India saw 72-73 levels against the dollar as “fair value” for the rupee. The Nifty PSU bank index slumped 5.4 percent with Bank of Baroda Ltd shedding over 16 percent after the government announced plans on Monday to merge the state-run lender with Dena Bank and Vijaya Bank.